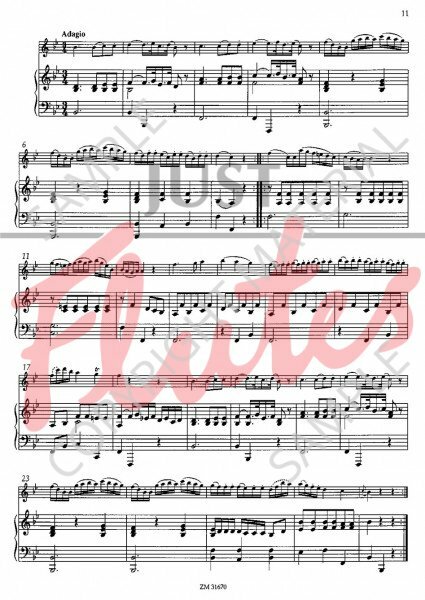 The two sonatas presented here were taken from a series whose original version is known as Duets for flutes, violins or flute and violin. 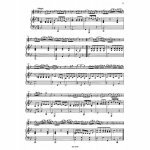 It was published for the first time by Artaria in 1788, also by Boyer and André. Until today, hardly anybody has taken notice of the arrangements for harpsichord and flute. The compositions presented here as a first print are the sonatas 1 and 4 from the series, whose keys B flat -F-C-G-D-A can only be found in the Artaria edition. Consequently, this arrangement is modelled on the Artaria edition. 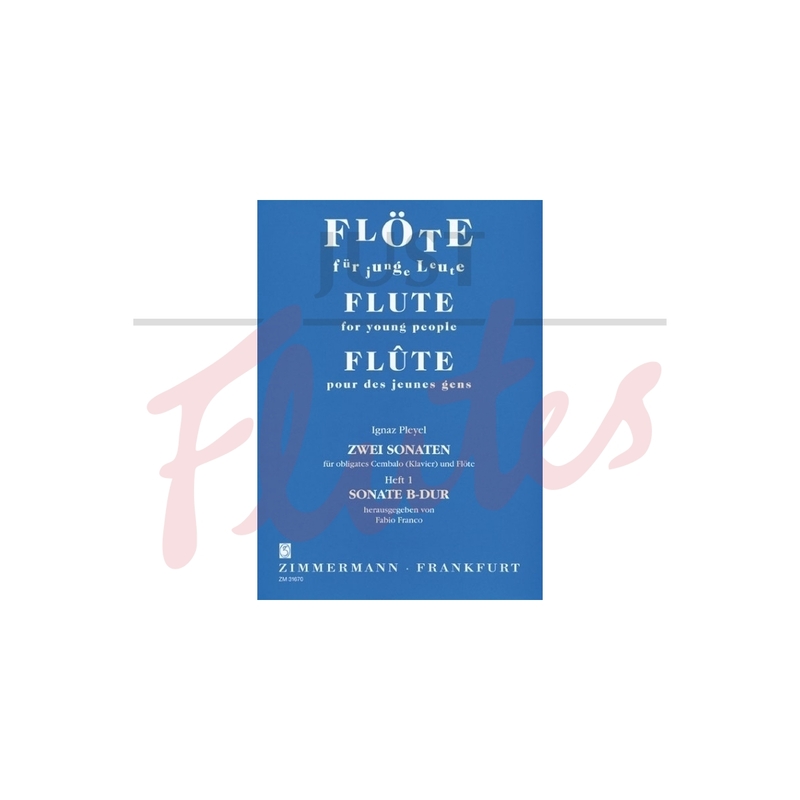 Our edition is based on the only source available so far, an undated contemporary manuscript bearing the title "Sonata per cembalo con flauto obbligato" whose author is unknown and which is preserved today by the library of the Conservatorio di Musica Benedetto Marcello in Venice, Italy.